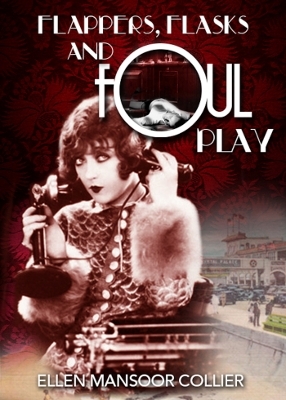 Description: Before Las Vegas, Galveston, Texas was called the “Sin City of the Southwest.” Real-life rival gangs fight over booze and bars during Prohibition in this soft-boiled Jazz Age mystery, inspired by actual events. Jasmine Cross, a 21-year-old society reporter, feels caught between two clashing cultures: the seedy speakeasy underworld and the snooty social circles she covers in the Galveston Gazette. After a big-shot banker with a hidden past collapses at the Oasis—a speakeasy secretly owned by her black-sheep half-brother, Sammy Cook—Jazz suspects foul play. Was it an accident or a mob hit? Soon handsome young Prohibition Agent James Burton raids the Oasis, threatening to shut it down if Sammy doesn’t cooperate. Suspicious, he pursues Jazz, hoping for information and more, but despite her mixed feelings she refuses to rat on Sammy. As turf wars escalate between the Downtown and Beach gangs, Sammy is accused of murder. To find the killer, Jazz must risk her life and career, exposing the dark side of Galveston’s glittering society. 290 pages. Viewed: 3,138 times since July 31, 2013.